Drones have gotten more and more popular in the past couple of years. Being able to control your quadcopter in the air and see the view from its perspective is a childhood dream for many. I remember the first RC Car I received when I was a kid, it’s impressive what a leap technology has taken to where we now can fly around in the air instead of just driving around on the ground. But drones have quickly become something more than just a toy. In a short amount of time, the cost of producing stunning video from above has significantly dropped. It’s not only for professionals anymore. You can go on vacation and record it from the sky with a device that costs less than your smartphone. Some drones can follow you around like you have your cameraman in the air. In today’s comparison, you’ll notice that the features don’t differ that much even though one drone might cost twice as much as the one we’re comparing it to. The most significant difference you will notice when you pay more is that you get a better camera and a more stable flying experience. When it comes to the DJI drones though, they’ve not only better cameras but more features, especially safety features. Today I want to share the six best drones for traveling. 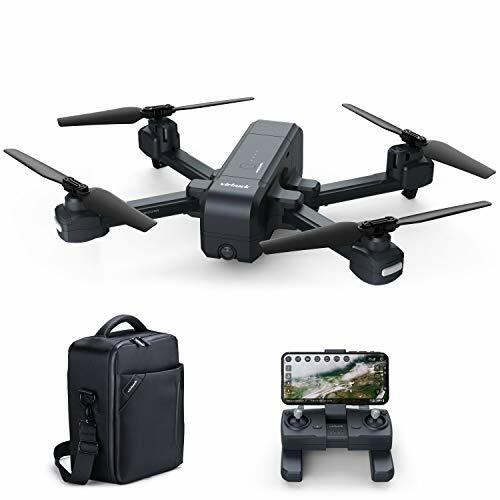 Since it’s about drones for traveling, I have only chosen drones that fold down to become portable, making it easy to put it in a backpack and grab it when needed. 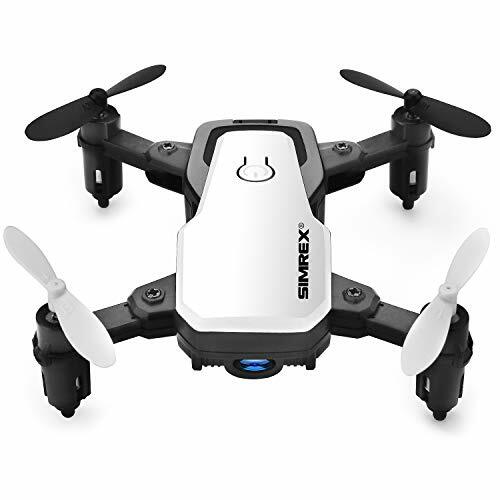 The X300C from Simrex is a great drone for beginners that have never flown a drone before. It’s a good idea to practice with a cheaper drone before you spend hundreds of dollars on one with more features. Even though the technology in the more expensive ones is more advanced and helps you avoid accidents, they happen. The SIMREX X300C can flip and roll, fly for about 8-10 minutes, and has a range of 147 feet (45 meters). It takes an hour to charge the battery to full, and it comes in four different colors. It folds down to become extremely portable and will fit in your hand. Even though it’s a beginner model, it does have some sweet features. Like altitude hold, headless mode, one key take-off and landing, three speed levels, and a gravity sensor mode that lets you control the drone by moving the controller. It also has a one-key return button. A camera will record and take pictures and can be controlled with an iOS/Android app that also will show you a live stream of what the drone is seeing. So what is the caveat with a drone at this price? The camera won’t take those pictures that you see more expensive drones take. I’d say that this drone is for kids or adults that want to practice flying a drone and get used to how they function. That said, this drone has impressive features for its price and can make a great gift or first drone. Next up is the Thunder FQ35 from ScharkSpark. The FQ35 will let you fly for 10 minutes but buying more batteries will let you extend that flying time. Features include altitude hold, one key take-off and landing, return to home-button, three speed levels, headless mode, and flip. An app on your iOS/Android device will let you view what the drone is seeing and control the camera. It has a range of approximately 328 feet (80 meters) and video range up to 95 feet (30 meters). A cool feature that can be very useful for beginners is the Return to home-button on the remote. This means that the drone will fly back to the user. It’s great for if the drone gets out of sight or the battery is low and you want it to come back as soon as possible. If you’re learning how to fly a drone before spending bigger money, the ScharkSpark Thunder FQ35 is a great choice. Next up is the Z5 from Virhuck. With a 120-degree field of view camera that can record in 1080p, this is another step up in the camera department. 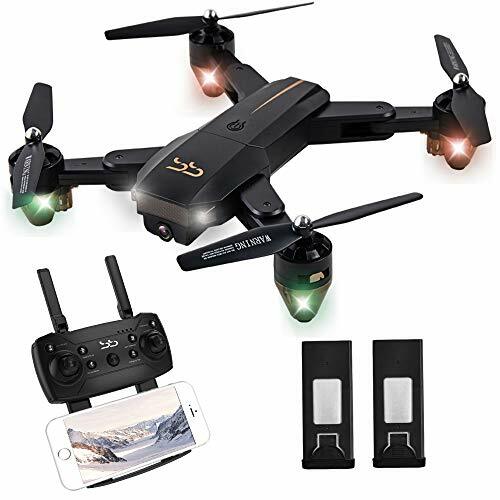 Features include: Follow mode, GPS auto return when battery or signal is low or you’re flying out of range, headless mode, gestures to take photos and videos, one key take-off and landing, and adjustable camera angles. With the app on your phone, you can tap the screen to choose where the drone should go, and the point of interest mode will circulate a point you’ve chosen. The Z5 will fly up to 15 minutes, but with the second included battery you can fly up to 30 minutes. Charging one of the batteries takes about 90 minutes. You can fly up to 1968 feet (599 meters) from you while outdoors and unobstructed. It’s a very price-worthy drone with all its features and great flying time. The camera won’t be up to DJI standards for video but is not bad for pictures. The Virhuck Z5 comes with a waterproof carrying case for travel and protection. When you talk about drones for consumers, DJI is always mentioned. The company founded in 2006 has released several drones in different price classes and is the leader in the product category. Today their budget model is called the Spark. It’s a portable little drone with most of the features you’d expect from a drone. TapFly, Follow me modes, gesture control, quick launch and can be controlled with an app on your smartphone. Where DJI products stick out in comparison to their competition is with the camera, transmission and stability features. The Spark will record stable 1080p video with its 2-axis mechanical gimbal stabilization. The camera has a f/2.6 wide-angle lens with a 25 mm equivalent focal length and takes still images at 12 MP. The Spark can fly up to 31 mph in Sport mode. The flying time while the drone flies at around 12 mph is up to 16 minutes. The fail-safe return to home feature will automatically force the drone to return to the user when it senses a low battery or loses transmission. If you’re looking for a drone to create YouTube-videos or professional work, I recommend splurging for at least a DJI Spark. The stabilization and camera in this drone will be more than enough for most people, and it’s a very impressive drone for the price. Note that a drone of this size must be registered with the FAA. It’s an easy process, and I have written more about this in the FAQ at the bottom. A few steps up from the Spark is the Mavic Air. This popular drone records incredible video and takes impressive images. It will record 4k video at 30fps 100 Mbps and take clear pictures with its 12 MP camera. Instead of the two-axis gimbal found in the Spark, the Mavic Air has a three-axis gimbal. But that’s only a small part of what this drone can do. It has next-level safety features, with sensors to allow the drone to bypass obstacles in front and behind it. Together with a downward infrared sensing system, the drone will have more precise hovering and a better flight performance. You can control the drone up to 6562 feet (2000 meters) away and flying time is 21 minutes per charge. A cool feature the DJI Mavic Air has is the sphere panorama mode which creates a 32 MP 180° panorama picture. It does this by stitching 25 photos together. The Mavic Air can also record slow-motion video, 1080p at 120 fps. DJI has something called QuickShots in their newer drones. You have six options to choose from in QuickShots. Rocket, Dronie, Circle, Helix, Asteroid, and Boomerang. Each one has a unique style as seen in the video below. These are also available on the DJI Spark. In addition to the Micro SD card slot, there’s 8 GB of internal storage on the unit itself. The DJI Mavic Air comes in three different colors. If you’re looking for the best drone for traveling that’s available on the market today, this is it. The DJI Mavic 2 Pro is the most incredible foldable drone I have ever seen with its impressive camera and stabilization. The Hasselblad L1D-20c camera onboard has a 20MP 1” sensor that lets you record 4K videos at high bitrates. The camera will also take stunning pictures both day and night and has an adjustable aperture. The 3-axis gimbal will make sure your footage looks professional by keeping it stabilized. The DJI Mavic 2 Pro can stay in the air for 31 minutes and has a max speed of 44 mph. It has similar sensors to the Mavic Air to make sure you won’t run into any obstacles, and you will be able to view the live stream from up to 8 km away from the drone, that is fascinating. Noise reducing HyperLight, H.265 video compression, four panorama modes, Hyperlapse images, and adjustable aperture are the features that make this drone unique compared to the others in today’s comparison. As drones have become more and more popular, the technology has improved fast, and the prices have decreased over the past couple of years. You can buy advanced drones today for prices that we could only dream about ten years ago. As we’ve seen today, the more you pay, the better camera, stabilizing and obstacle features you get. It comes down to what you need a drone for. If you want it as a toy, you probably don’t need a Hasselblad camera on it. But if you plan on making videos to share with other people, a great camera can turn a good video into an incredible one. If you’re a beginner, I recommend starting with a cheaper drone to get used to how they function. DJI drones do have a lot of safety features to help beginners though, so don’t get discouraged to try out their drones. Good: DJI Spark – Every travel-vlogger nowadays need a drone. You can record so much more of a place if you can do it from above. The Spark from DJI is a great portable drone that will record video that will be great for YouTube-videos. Have it follow you around the trail, record the sunset, or take selfies with the whole family on the beach, the Spark is versatile and can do a lot for its price. 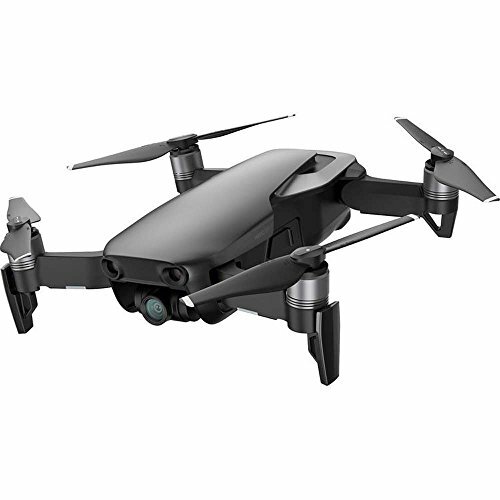 Better: DJI Mavic Air – The Mavic Air is a good choice that fits right in between Spark and Mavic 2 Pro when it comes to features and camera quality. 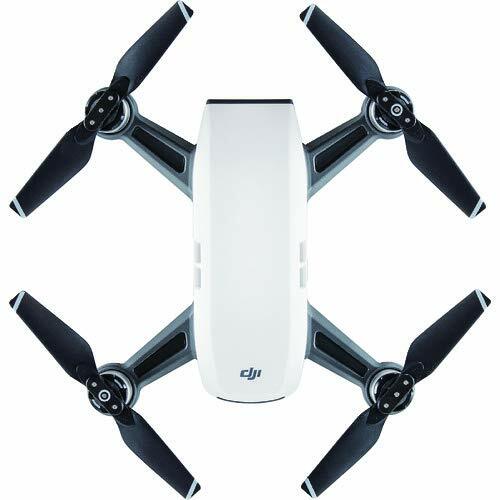 The picture is incredible and stable and with up to 21 minutes of flying time, you can capture a lot on one charge. 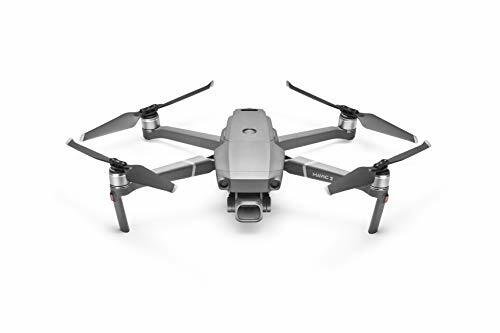 Best: DJI Mavic 2 Pro – The Mavic 2 Pro is the best you can get as a traveling professional that needs a drone. The amount of features and the camera packed into this little drone puts it at the top of my list of drones for traveling. With a Hasselblad camera, omnidirectional obstacle sensing, an adjustable aperture, and HDR photos, videos and photos will be breathtaking. If your drone weighs more than 0.55 lbs, it’s required if you’re planning on using the drone outdoors in the United States. If you only fly indoors, you don’t have to register it. Registering a drone is fairly simple and only costs $5, you must be 13 or older to register and can be done here. FAA has a great FAQ page about most of the questions you might have, you can find that page here. There are rules about where you can fly your drone. For example, inside a 5-mile radius of many airports, there are restrictions on how high you can fly. Knowbeforeyoufly.org has a great post with safety guidelines when you want to fly a drone. FAA has a great page about specific restrictions that you can find here. There is also a great app for iOS/Android devices that will tell you where it’s okay to fly and not, called Airmap. How hard are drones to fly? This depends on the features of the drone and where you are. If you’re flying indoors or in the forest where there are a lot of obstacles, it will be harder than if you’re outside on an open field. The open field is more forgiving to mistakes. But if you have a drone with omnidirectional obstacle sensing, flying indoors won’t be too hard as the drone won’t let you hit the wall. The worst thing that can happen is that you crash your drone or that you let it go too far away to where it disappears from the sky and you can’t see it. I recommend flying very low and close to you when you first start flying. Get to know the controller, how long the battery life actually is, and how fast it can take off before you start flying far away. It’s always recommended to only fly to where you can see the drone. What does the Headless Mode do? The Headless Mode can be found in beginner drones and it’s a neat feature. It helps you control the drone by not caring about what the direction the drone is facing. The forward stick will always be forward, and the back stick will always be backward. This helps when it feels like you’ve lost control over the drone. Take a second to calm down, enable headless mode, and then go back to controlling the drone by going forward or backward.